The Last Train to Russia, A 12-Episode Daily Series Explores Russia through Visits to the 2018 World Cup Host Cities. The venue of the 2018 FIFA World Cup has a train that travels all over its territory, from St. Petersburg to Siberia. Russia can be traversed onboard the carriages of the Trans-Siberian railway, a network of railways connecting Moscow with the Russian Far East, also known as the longest railway line in the world. 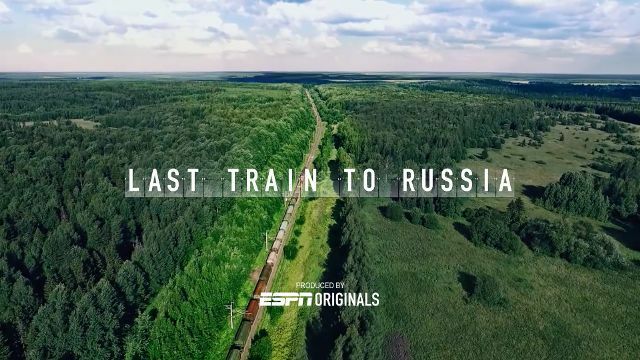 In an unprecedented global initiative, leading up to the 2018 FIFA World Cup, ESPN and Sony Pictures Sports Networks presents The Last Train to Russia – a 12-episode series that explores the country of Russia through the eyes of ESPN international soccer reporter Martín Ainstein and his visits to the 11 World Cup host cities. The daily series will premiere on SONY TEN 2 SD and HD channels on June 1, 2018 at 9 P.M. The series captures the culture, the people, the food and the mores via Ainstein’s journey onboard the Trans-Siberian railway beginning in St. Petersburg; snaking through the country to cities as far east as Ekaterinburg; Sochi on the west; and concluding with two episodes on Moscow. Ainstein’s reporting for this series lasted for six weeks as he traversed the vast country, one train station at a time. The ESPN international soccer reporter captures the traditions and historic centers of each of the 11 World cup cities in Russia, including the stadiums where the matches will be played.